As you may remember from my post on the Rockefeller Homes and Gardens, next spring Christie’s will offer The Collection of Peggy and David Rockefeller. In the meantime, a global tour begins next week in Hong Kong (marking the family’s longtime commitment to Asia) with highlights from the collection. Each subsequent stop on the tour – London, Los Angeles and New York – will share new items and aspects of the sale, benefiting 12 of Peggy and David’s favorite charities. 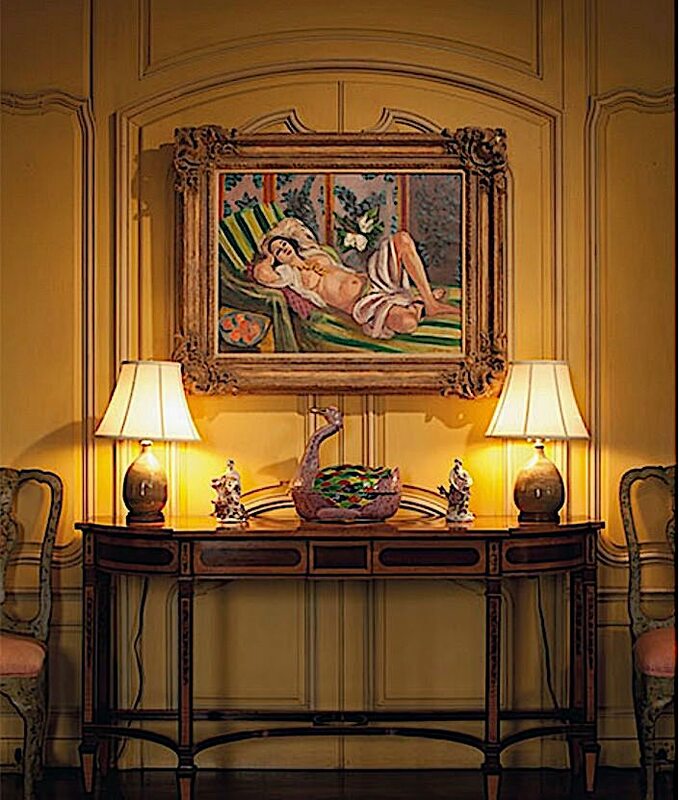 In the New York City townhouse library hung Picasso’s Fillette à la corbeille fleurie. From the artist’s Rose Period, the painting was originally owned by Gertrude Stein and brother Leo. 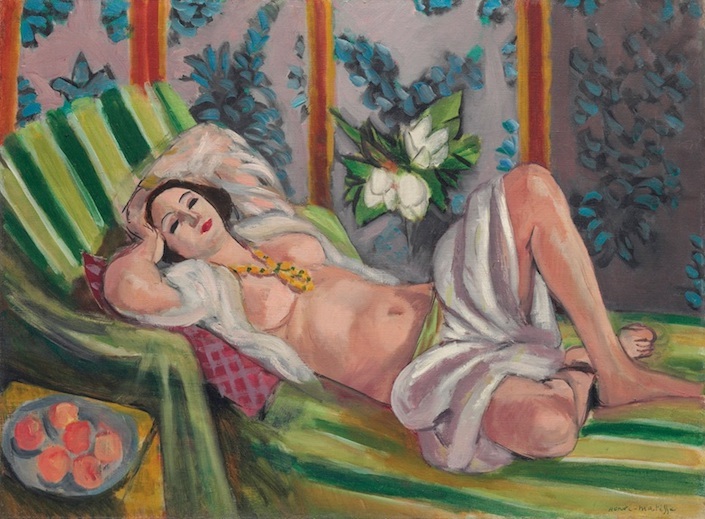 And seen in the living room at Hudson Pines is the majestic Matisse, Odalisque couchée aux magnolias. This Matisse is evidently his most important work to be offered in years. 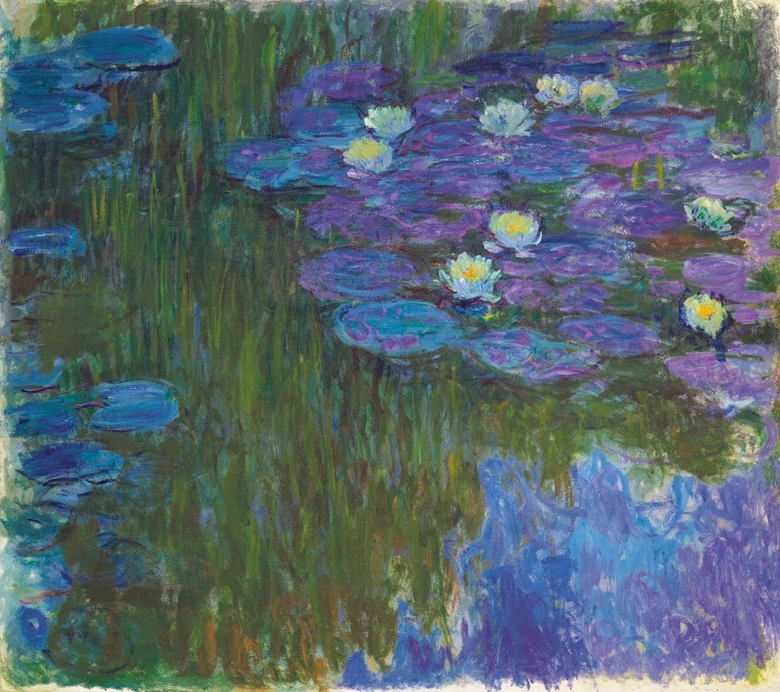 Monet’s Nymphéas en fleur, of his Giverny garden, is an enormous painting with vivid and saturated colors. It was purchased form Parisian dealer Katia Granoff who had been personally recommended by Alfred Barr, first director of the Museum of Modern Art. You may remember that David’s mother was one of the founders of the museum. 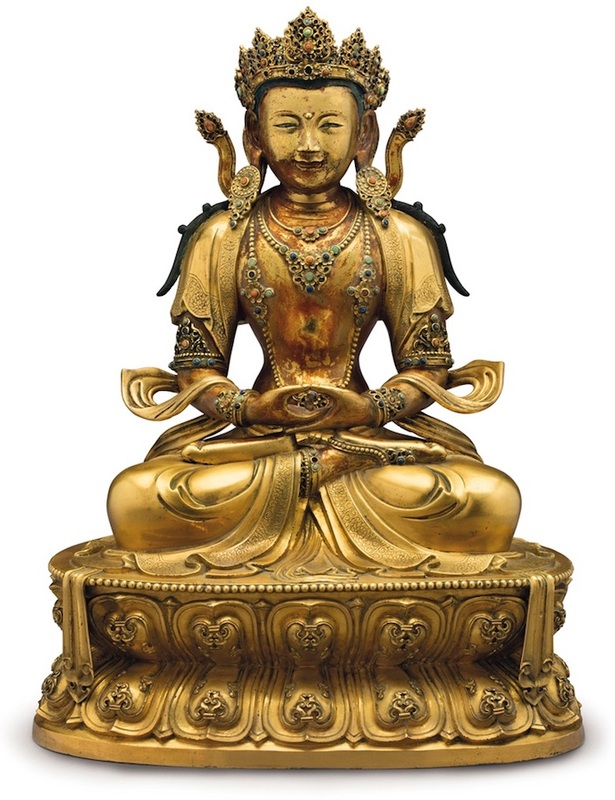 This amazing gilt-bronze figure of Amitayus was made in the Imperial Chinese workshops of the late 17th – early 18th centuries. At over two feet tall, it is a substantial sculpture in size, weight and artistic importance. 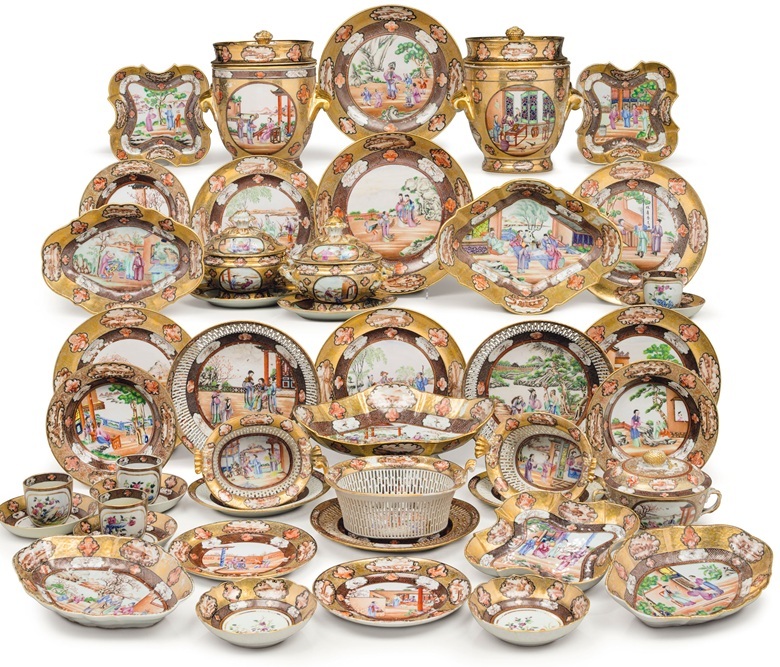 Those who are devotees of the art of the table, will amazed by pieces in this Sèvres Marly Rouge pattern dessert service, originally made for Napoleon I, delivered to Fontainebleau in 1809. The chateau has only a few pieces remaining and these have not been on the market since they were purchased by David’s mother, Abby Aldrich Rockefeller, over 75 years ago. 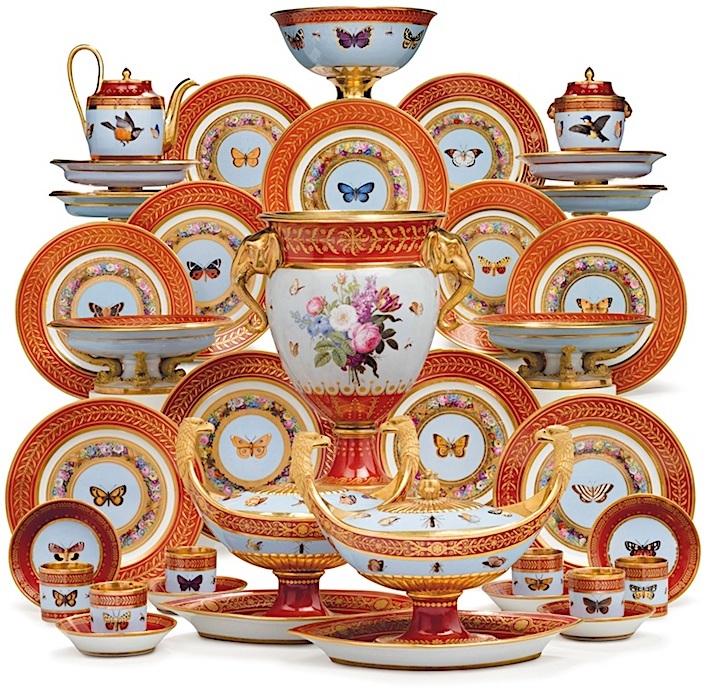 The Rockefellers also collected Chinese export in a style that become known as the Rockefeller pattern. With beautifully details scenes, it was one of the most elaborate patterns made in the era. 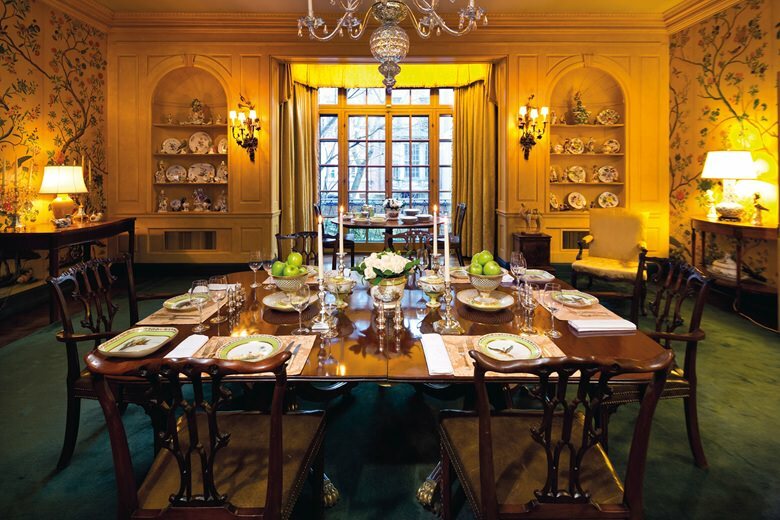 John Jr. and Abby Rockefeller had a large service of this porcelain and Peggy and David Rockefeller added pieces to their collection, which they used for large dinners in the NYC townhouse, below. This is just an initial peek at what is starting the tour in Hong Kong. I am there will be many posts to come featuring more from this incredible collecting legacy and upcoming sales. This entry posted in art, auctions, Christie's. Entry Tags: art, auction, Christie's, Peggy and David Rockefeller, Rockefeller auction Bookmark the permalink. Thank you for sharing! Wonderful pieces of art! What a delicious way to start the day. Rockefeller dreaming, especially from one at an age when she has been able to follow the family’s lifestyle preferences and taste over the years. Thank you! I agree about the porcelain! Wow! What an amazing collection . 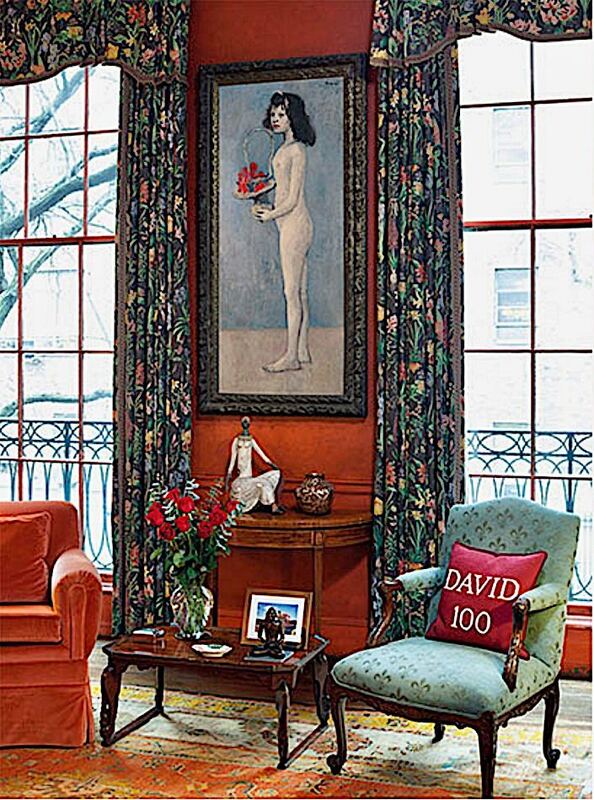 David and Peggy Rockefeller loved collecting and living with their treasures . It is evident in the photos of their townhouse. 80 queries in 0.481 seconds.